​Liverpool travel to Paris for Wednesday's Champions League game in an odd position. The embarrassment of defeat to Red Star in their last outing in Group C has left Jurgen Klopp's side needing a result going into the final two rounds of fixtures in this stage. However, they do only need one result, and it needn't necessarily be from this game. 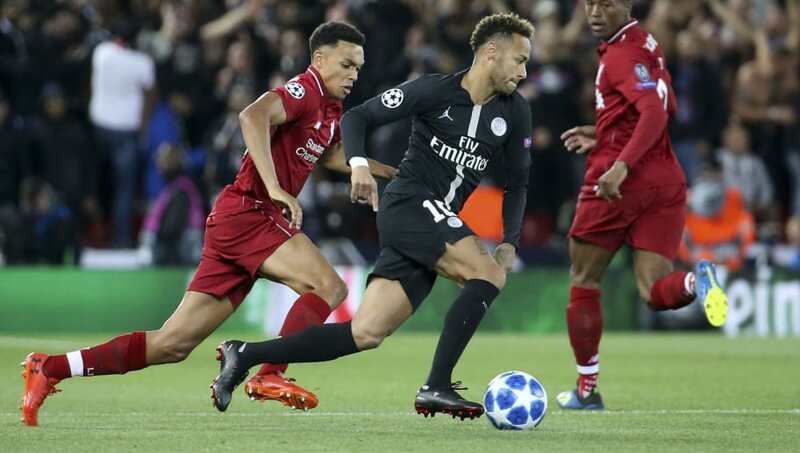 Should the Reds lose to Paris Saint-Germain on Wednesday night, they can still qualify for the knockout stages with a home win against Napoli in two weeks' time, regardless of the Italians' result against Red Star. With a Merseyside derby up next weekend, as the tests come thick and fast for this ​Liverpool side now expected to deliver honours, Klopp may view the PSG game (at least privately) pragmatically and must know that defeat is not a total catastrophe. However, win the game on Wednesday and Liverpool secure qualification, while making a statement to the rest of Europe with a double over PSG. Check out 90min's preview of Saturday's bottom of the table clash below. ​Neymar and ​Mbappe are big doubts for the hosts after picking up knocks during the international break. Both were left out of the 1-0 win over Toulouse in Ligue 1 at the weekend, but ​manager Thomas Tuchel is optimistic they will both feature, after training on Monday. In better news for PSG, Dani Alves made his first appearance of the season at the weekend and could be in contention to feature on Wednesday night, while Layvin Kurzawa is also fit again. Question marks remain over midfielder Adrien Rabiot, whose contract situation has seen him fall out of favour at the club. Angel Di Maria could start ahead of the Frenchman who has been linked with Liverpool, as well as Barcelona and several other sides in recent months. Alex Oxlade-Chamberlain is the only definite absentee for Liverpool, but Joe Gomez remains a slight doubt after missing out on the 0-3 victory over Watford on Saturday. Jordan Henderson's suspension from the red card at the weekend doesn't carry over into Europe and Klopp has the choice between his captain, James Milner, Gini Wijnaldum, Naby Keita, Fabinho and even possibly Xherdan Shaqiri for three midfield berths. Wednesday's meeting will be only the fourth time these two have met in competitive competition. Liverpool's dramatic victory at Anfield in September gives them the 2-1 edge in overall head-to-head record. The only other times the two have met being across two legs in the Cup Winners' Cup back in April 1997. A win for either side will mean qualification to the last 16 of the ​Champions League and put the victors in the driving seat to win Group C.
The Reds made the French champions look positively average at times during the win at Anfield on 20 September and memories of that display should give Klopp's side some confidence that they can compete if they play to their best on Wednesday. However, Liverpool have struggled a little to fully impose themselves in big away games this season, losing both of their other Champions League group fixtures on the road, while also dropping points from a winning position against in Arsenal in the Premier League. PSG's impeccable home record (they are 8-0-0 at the Parc des Princes) means they are favourites, but if Neymar and Mbappe remain sidelined or are forced to play unfit, Liverpool could take advantage. If they are fit and firing though, PSG should edge it. Just.